Book was ok. I was hoping it would have ideas or tips on how you can flip the Arts classrooms. This book primarily discussed flipping Math, Science, English, and Social Studies classrooms. It did have some good information just not what I was hoping and expecting. A very quick read about the idea of Flipped Learning, the next step after the Flipped Classroom. While I have not read the first book by these authors about the flipped classroom, I am intrigued to read it and then to follow up with the subject specific book for my subject area, social studies. This book was required reading for an online PD course I'm taking to get credits to keep my teaching certificate while on leave so that I can return to the classroom upon my return from leave. 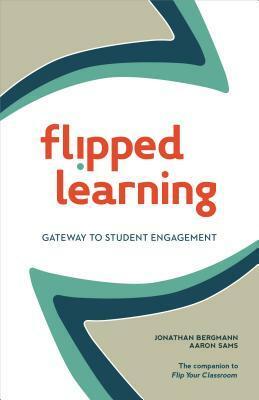 Anyway, I found this book to be encouraging overall especially through the many stories of individual teachers, shared in their own words and voices, that have progressed from Flipped 101 to Flipped Learning. It shows that there are innovative and new methodologies to teaching, and that they can be started by teachers, not from some government official, initiative, or legislation to change our education system. If we focus on the teachers and what they know, plus what their frustrations are, they certainly can come up with some answers to how to change things for the better, both for teachers and for the students. I am excited to learn more about the Flipped methodology and to determine how it might work in my middle school (or potentially high school) social studies classroom and in my district. Read this book if you want to find a way to reinvigorate your teaching and help your students really learn, become masters of the content, and be intrinsically motivated and life long learners. Extremely inspiring. Teachers wrote about transforming from Flipped Classroom 101 to Flipped Learning. They included how they did it and why and how they use their face-to-face time. This book is exactly what I needed to help me graduate to flipped mastery. This is an incredibly helpful book for those thinking about flipping their classrooms.